At the Law Offices of Smith & Smith, we provide aggressive defense for people who have been charged with a crime. Being arrested is a frightening experience and many people who are arrested are confused about their rights. 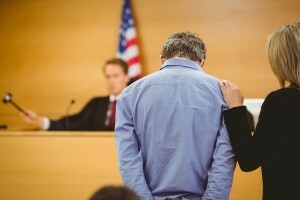 You need a dedicated and experienced criminal defense attorney who understands the criminal justice system who can help you deal with the legal system and work through your legal trouble. A criminal conviction can have a serious impact on your family. Protect yourself by choosing a criminal defense lawyer with the strength training and background to fight for your rights. At Smith & Smith, attorney David O. Smith can provide you with the dedicated representation that you need. We defend clients who have been arrested, charged, or think they may be charged with a crime. Our practice areas include DUI, violent crime, domestic violence, juvenile offenses, theft, and more. To schedule an appointment with an experienced Corbin criminal defense attorney, call us at 606.528.5001.